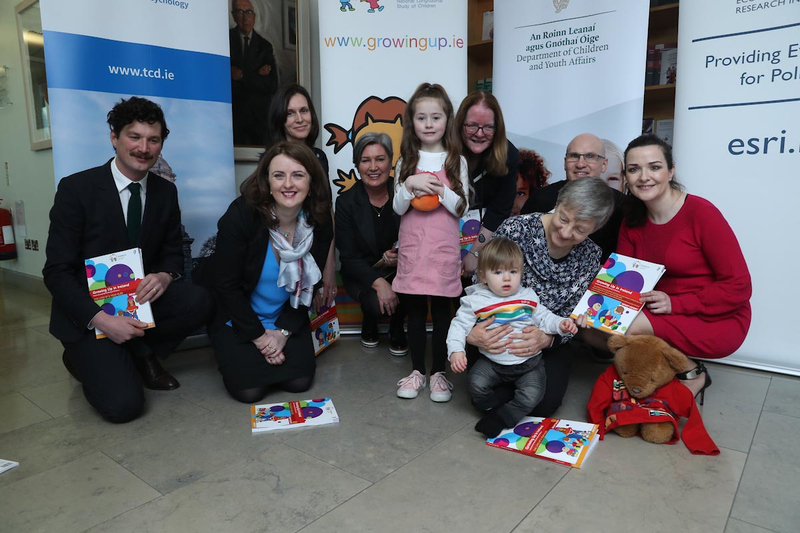 Pictured at the launch of the latest GUI reports are the authors, representatives from the Department of Children and Youth Affairs and young helpers. Growing Up in Ireland is carried out by the Economic and Social Research Institute (ESRI) and Trinity College Dublin (TCD). It is funded through, and overseen by, the Department of Children and Youth Affairs (DCYA).